Take Sharp's Full HD TV straight into your living room! 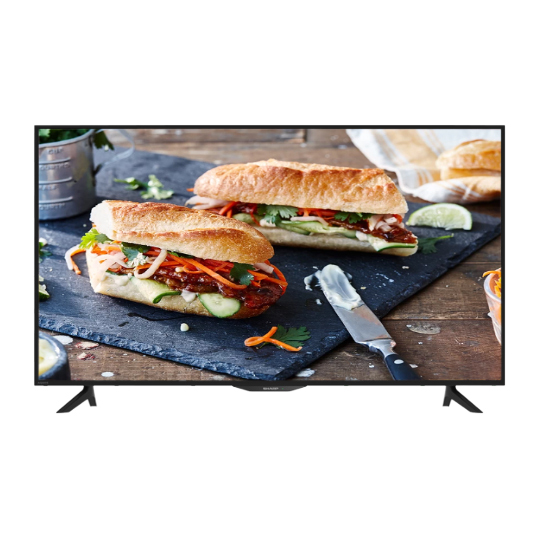 Enjoy watching your favorite shows and see them all brought to life with the 2K TV's deep contrast, vivid display, and sharp motion picture quality. Featuring Sharp's Super Eco Mode, it can operate at a low power state which can save up to 50% compared to standard models.